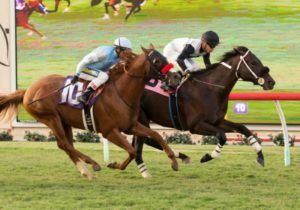 The 2018 OBS Yearling Sale is set for October 9 – 11, and while the catalog is being assembled, the sale’s previous graduates are enjoying a run of summer success across the country. 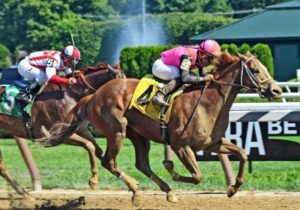 The latest stakes winner is Michael Dubb, Makaket Stables LLC and Bethlehem Stables LLC’s lightly raced World of Trouble, who led from the start in the $100,000 Quick Call Stakes on the Saratoga turf course on August 8th and eased away late to win by a length and three quarters. 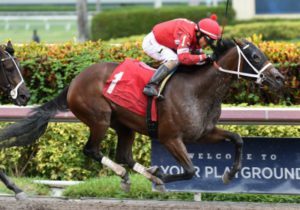 It’s the second stakes score for the graded stakes placed Florida-bred colt by Kantharos, trained by Jason Servis, now 6-3-1-1 with $278,400 in earnings. 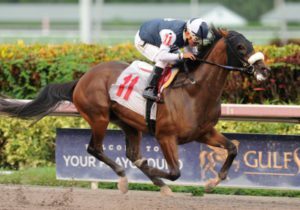 Consigned by Darsan Inc., Agent, he went through the ring at the 2016 August Yearling Sale. 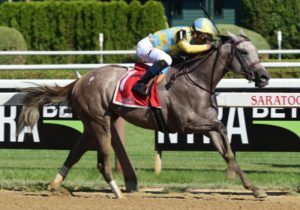 John C. Oxley’s Catherinethegreat got the meet off on the right foot for OBS, leading all the way and winning the $150,000 Schuylervillle Stakes (G3) on Opening Day, with fellow October Sale graduate Congrats Gal running third. 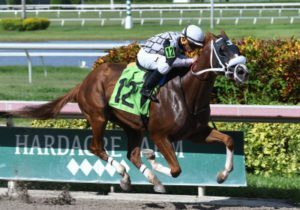 It was the second straight win for the 2-year-old Florida-bred daughter of Uncaptured, trained by Mark Casse, consigned by Turtle Pond Farm to the 2017 October Open Sale of Yearlings, and sold for a session topping $170,000. The Spa’s biggest day so far was Whitney Day, and OBS Yearling Sale graduates played a major role all day. 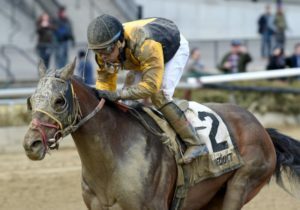 In the day’s main event, Uriah St. Lewis’ Discreet Lover continued his march to a million with a third place finish in the grade one fixture. 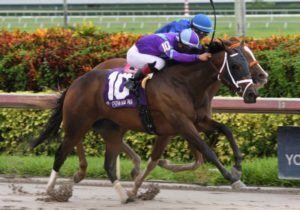 The 5-year-old graded stakes winning Florida-bred son of Repent, trained by his owner, is now 42-6-7-7 and has earned $941,560 to date. Consigned by Woodford Thoroughbreds, he went through the ring at the 2014 OBS August Yearling Sale. Not far from The Atlantic Ocean, OBS Yearling Sale graduates are making the most of their opportunities at Gulfstream Park. On July 28, Michael Yates sent out Shadybrook Farm’s Jessica for her first start in a 5-1/2 furlong maiden special. 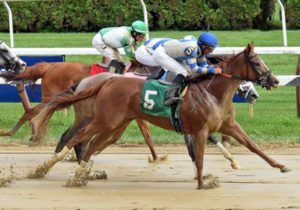 The 2-year-old Florida-bred daughter of Prospective overcame a bit of traffic in the stretch to draw away late to win by a length and a quarter. Consigned to the 2017 Open Sale of Yearlings by Camelot Acres Racing & Sales, Agent, she was sold for $8,000.